Let me take you back in time. Hop into the TBIR DeLorean and set the date to 16 March 1872. As we hit 88 mph down Borough High Street the Flux Capacitor sparks into life and we ease back into the 19th century, passing the Surrey County Jail (now a block of flats), Queens Bench Jail (now The Ship) and finally into Elephant and Castle, making sure we avoid Bethlehem, which back in the late 19th century was not a place to be hanging around even if you were with child and on a donkey (it was a Lunatic Asylum). Our destination is now in view. Even 140 years ago the iconic Gas holders are still in place. Welcome to the Kennington Oval. We are not alone as a crowd of around 2,000 take their place around a roped off pitch, cut square in the middle of the cricket ground for the first ever Football Association Cup Final. After eight years of friendly matches being played between sides from all over England, the Football Association Assistant Secretary, Charles Alcock came up with an idea of a knock-out tournament featuring some of the best teams (in terms of reputation) in the country. His idea got the green light and he drew up a list of clubs to enter. Twelve accepted his offer to take part including such well-known teams as Harrow Chequers, Hampstead Heathens and Lausanne. Before a ball could be kicked, three clubs pulled out and Alcock was back to square one. However, thanks to some frantic telegram action , he managed to find 6 more teams. The first few rounds were chaotic as prior to a ball being kicked, Reigate Priory and Harrow Chequers pulled out meaning Royal Engineers and Wanderers went straight into the second round. So too did Crystal Palace and Hitchin after their 0-0 draw, and Queens Park and Donington School who couldn’t agree on a suitable venue, whilst Hampstead Heathens got a bye due to the odd numbers in the competition. Somehow two teams made it through to the final. 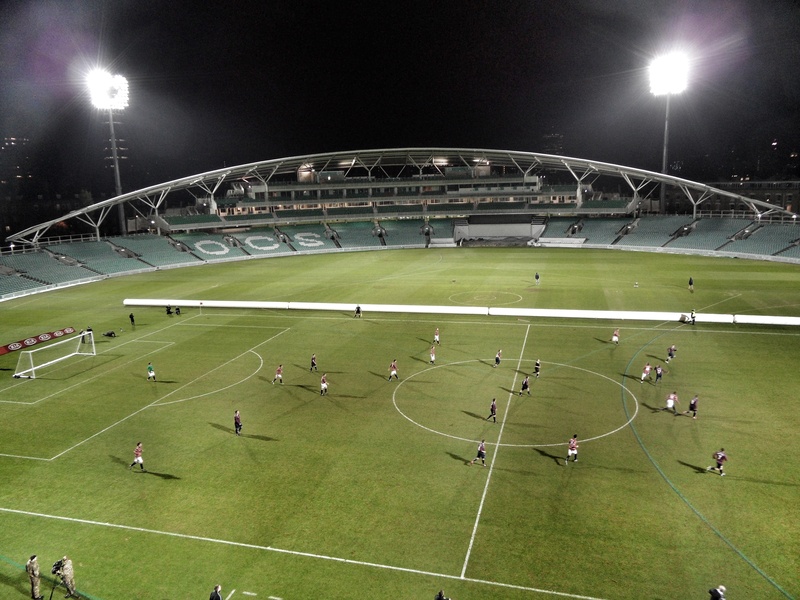 Royal Engineers had beaten Crystal Palace in a replay in the semi-finals, whilst Wanderers had got a walk over after Queens Park pulled out, unable to afford to travel back down to London for a replayed semi. Wanderers had reached the final by scoring just one goal. So here we are, ready for the first ever FA Cup final. The man whose idea it all was, Charles Alcock just happened to be the captain of the Wanderers team as well as secretary of Surrey County Cricket Club and thus the man responsible for the game being played at The Oval. Back in 1872 The Wanderers had become a bit bored of the nomadic lifestyle which was not fitting for such a fine bunch of upstanding gentlemen. Until 1872 the club, made up of ex-public schoolboys and “gentlemen of a fine nature, temperament and spirit” played friendlies across the country, and occasionally used a pitch in Battersea Park as their home ground. In 1870 they decided that Kennington Oval would be more suitable, and agreed to share the facilities with Surrey Cricket Club. At 3.05pm, with over 2,000 smartly dressed men in tall Victorian hats and a fair few pipes being smoked the game kicks off. We paid the handsome sum of 1 shilling (5p – today worth £3.50) with those of us who have travelled back from the look perplexed at the fact there are no crossbars (a strip of tape runs between two posts), the referee was simply a time-keeper waving a handkerchief and blowing a trumpet when he needed to make a decision. in each half was an umpire, appointed by the opposition who the players appealed to should there be an infringement. should they not be able to agree they “referred it”. Throw-ins are hurled onto the pitch with one hand. It’s a different world from what we see today. Wanderers attack from left to right in their black, yellow and pink striped shirts, Royal Engineers in blue and yellow stripes. After just ten minutes, Royal Engineers Edmund Creswell falls and seems to hurt himself. Refusing the leaches and smelling salts he limps through the rest of the game (he suffered a fractured collar-bone), reducing the army team to ten men. Things go from bad to worse a few minutes later when A H Chequer scores the opening goal of the game for Wanderers. Mr Chequer looks suspiciously like Morton Betts who played for Harrow Chequers (it was but as they had pulled out of the cup before a ball was kicked he wasn’t cup-tied). Despite some “dribble play” from both teams, no further goals are forthcoming and Wanderers celebrate winning the first ever FA Cup, although they would have to wait another month to receive the cup. The excitement of seeing history being made is enough to work up a thirst. On our way back to the future we stop in Borough Market for a swift pint of London Pride in the Market Porter. 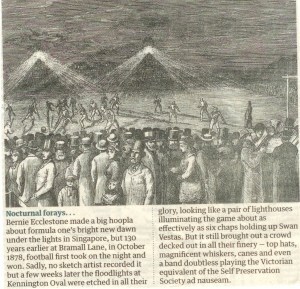 A newspaper seller is already hailing the win for Wanderers in the “most magnificent spectacle, worthy of Queen Victoria herself”. We pick up a copy of the Field which leads with a front page spread on the game, triumphing it as “the fastest and hardest match that has ever been seen at The Oval” and said that the Wanderers displayed “some of the best play, individually and collectively, that has ever been shown in an Association game”. Hard to think today that someone could get so excited about such a game. The FA Cup Final these days has lost the sparkle. It may have been the fact that Semi-Final’s are now played at Wembley, or that teams rarely take it seriously, but for me the magic went when BBC and ITV stopped devoting 8 hours to the pre-match build up. But in a rare moment of genius somewhere, someone decided it would be a great idea to replay that first final some 140 years later. And not only the fact it would be replayed, it was to be played at The Oval. 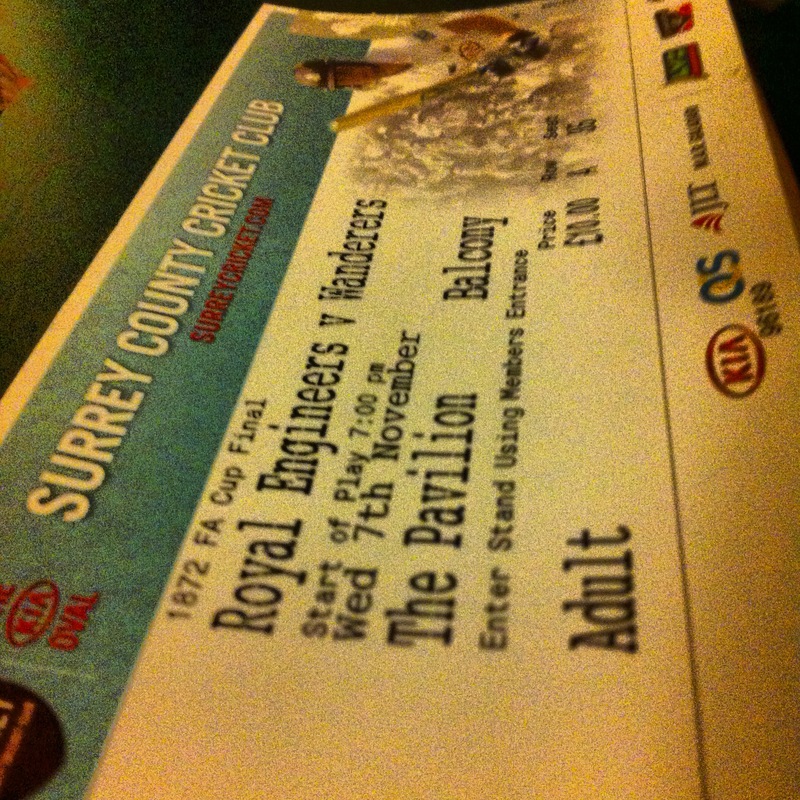 How on earth they managed to convince Surrey CCC to allow that I will never know, but hats off to them. The game was being played for charity and it was hoped that a crowd of more than 2,000 would attend, meaning a better crowd than the original fixture. Thousands of fans had put the date in their diary, and as soon as tickets went on sale, Dagenham Dan was on hand to snap up front row seats for us. The two sides were still in existence today. Wanderers play in the Surrey South Eastern Combination with the likes of Cheam Village Warriors, Westside Reserves and Fulham Deaf Reserves. Whilst they are not the same club as that that won the 1872 cup (they disbanded at some point before 1885), they have the approval of the descendents to call themselves The Wanderers. The Royal Engineers can surely lay claim to being the most successful military team ever in England. Few can doubt this claim after the Royal Engineers were three times runners-up in the FA Cup sandwiched between their sole win in 1875 against Old Etonions at Kennington Oval. The Royal Engineers in the late 19th century were the place to do your military service and so they had the pick of the best players. They played at Great Lines, a hill high above Chatham town centre and home today of the Naval Monument. The club was pioneers of the pre-season tour. It is amazing to think that top clubs these days head thousands of miles at the drop of a hat whilst in the late 19th century Nottingham and Derby were classed as exotic for the likes of The Royal Engineers. Unable to offer professional terms to players during the early part of the twentieth century the team their influence on the game faded. The regiment still puts a team out today, although only within the local levels of the game playing in the vicinity of the original ground although, the Great Lines ground has since disappeared, but the Royal Engineers Social Club meet every year on FA Cup Final day on the original site to commemorate the achievement of their forefathers. So, who knows what to expect as we made our way from the Market Porter (obviously, for old-time sake having a London Pride) for the game. I was certainly going to be very different to where I would be in exactly a week’s time, one of the 50,000 at the new Friends Arena in Stockholm. 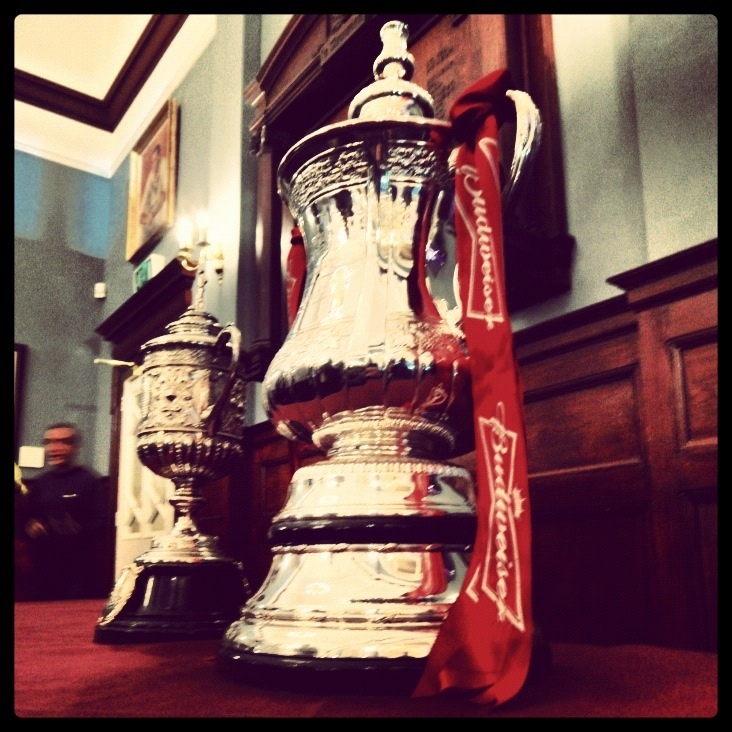 Surrey CC had thrown open the doors to the hallowed Long Room for the night, with the Real FA Cup’s on display. That included the Budweiser one, the old one (graciously loaned by David Gold) and Damon and Simon from the Real FA Cup website. Photo opportunities galore, although we were reminded at every opportunity to “look and not touch”. Prior to the game I also had the privilege of meeting one of my heroes. Stuart Roy Clarke is in my opinion the world’s greatest photographer of football (note – not of football matches but of the beauty of the game. His website, Homes of Football is a shrine to hundreds of reasons why we love the game and to spend 10 minutes in his company was priceless. “Never meet your heroes” they say “you’ll only be disappointed”…I disagree in this instance. 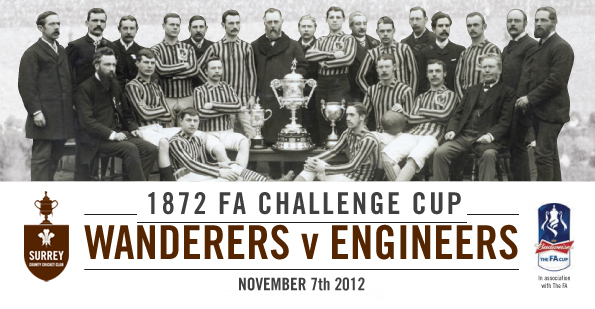 Royal Engineers 7 Wanderers 1 – The Oval – Wednesday 7th November 2012 And so to the game itself. I am disappointed to say there was no Victorian theme going on. Players hadn’t parked their penny farthings outside and there wasn’t a whiff of any tall top hats. There was no pre-match warm up involving medicine balls and the only moustaches involved seemed to me Dagenham Dan and my efforts for November. Both teams had at least kitted themselves out in the original colours, although refrained from the matching caps. Instead we saw a professional performance from the army team in the first half, scoring six goals in little over half an hour. As someone tweeted after 30 minutes, it was toy soldiers versus the SAS. Wanderers should have been prepared. After all, they had Bobby Gould as their “Manager”. I use inverted commas in the same way that Terry Venables is the “coach” at Wembley, and Claudio Caneggia is their “centre-forward”. I would be mightily pissed off if I was doing a job and then when the media come knocking I was moved aside for someone who had overseen a …I wonder if his appointment for this game had anything to do with the fact his son is Chief Executive of Surrey CCC? It deem seem very surreal watching the game from a vantage point which would normally cost you the best part of £150 for a test match. The sparse crowd of around 700 were spread over three levels of the pavilion, although it did seem that #AllofTwitter were at the game. At half-time the Engineers brought on ten outfield substitutes and they took their foot off the gas. The biggest cheer of the evening was reserved for their consolation goal on the fifty minute mark. There was a dilemma for a (large) number of groundhoppers in the Oval as to whether this game counted or not. Apparently one chap said yes it would as long as a goal was scored at each end; another as long as he touched the ball. To me it was simply a game of football and so it counted as just that. I don’t need silly rules, an unfolded ticket or a sniff of leather (although I was very disappointed there were no Wanderers socks on show). Fortunately for one group of groundhoppers they got their “tick” when Royal Engineers scored a seventh at the Scoreboard end of the ground to make the final score 7-1. They had waited 140 years for some revenge but here was their moment. The original FA Cup was brought out and presented to the Royal Engineers captain, but not before he had to don white gloves to hold it. None of this passing it around and putting the lid on your head here – the security men looked with suspicious eyes of how David Gold’s property was being treated. It was certainly up there as one of the most unusual games I had been to. Perhaps if it is repeated next year with Wanderers (who qualified for the 1873 Final by virtue of winning the 1872 one) taking on Oxford University, although that game was played at Lillie Bridge which today is a London Underground depot. which may be a challenge. My walk back to the station took me past The Royal Victoria Tavern which was advertising “Fantasy Fun and Filth” coming soon with a picture of a man with a very Victorian Moustache. Nice that they had got in on the act and tried to encourage the football fans in…at least that is what I thought they were doing but that’s a story for another day.